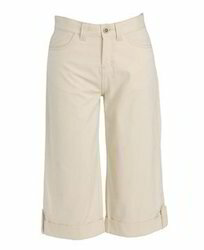 In order to cater diverse requirements of the clients, we offer an exceptional range of Ladies Shorts. G. T. G. & Co.
Owing to the expertise of our skilled team of professionals, we are offering a comprehensive range of Ladies Stylish Shorts. The Ladies Hot Pants provided by us are extremely trendy and stylish. These are ideal for casual occasions and are known for their ease of washing and upkeep. These dry quickly as well. For the diversified demands of our patrons, we have brought forth a comprehensive gamut of Zipper Shorts. Price start from Rs. 550 onwards. 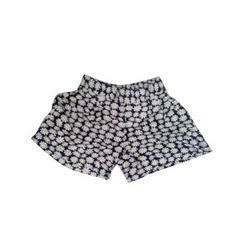 · We facilitate our clients the best quality Girls shorts designed using optimum fabrics. We offer numerous stylish patterns which are high in demand and comfortable to wear. We are pioneer in introducing latest designs in the market and maintain a highly proficient team of experts. All our products are cost effective and provided in various colors and appearance.